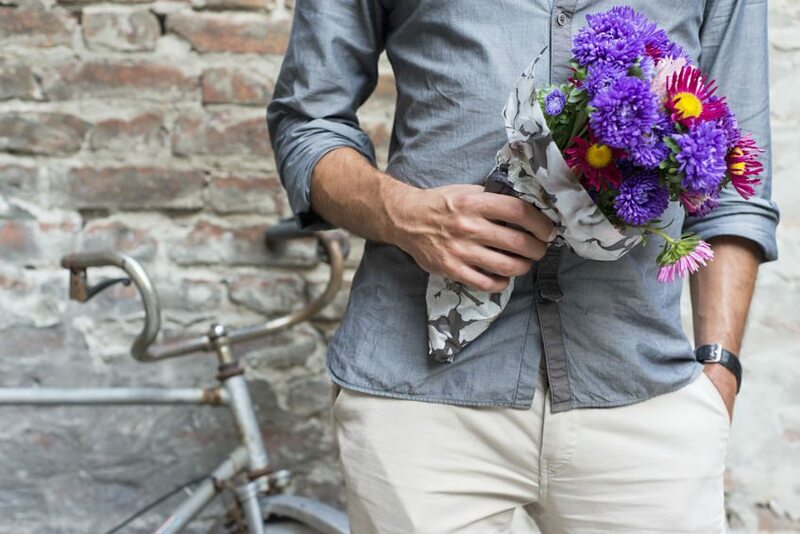 In honor of the time of renewal, the time when a man’s fancy turns to thoughts of love, the time when Spring is bustin’ out all over, we offer you our thoughts on spring cleaning for men. No, we’re not talking about how to tidy up your digs, we’re talking about your body, from head to toe. At this time of year, it’s out with the old and in with the new. If you’ve been sporting the same tired looks for the last year, consider treating yourself with a new look for a new you. Or, treat yourself to products and services that will help you feel like a new man. We’ll review a few spring cleaning options for you that we hope you will enjoy. Variety is the spice of life, so spring cleaning tip #1 is to vary your hairstyle. Getting into a rut is easy to do, especially if you have “difficult” hair that is tough to tame, has cowlicks that require a certain part or a certain length, or you have a facial type that looks best with a certain style. Getting the advice of experts like the barbers at Hancock Barbershop can help you not only manage these issues but move beyond them, so you can try a new style that will help you feel like a million bucks. Long, straight, chin-length to shoulder-length locks that are tamed with shine cream or pomade, AKA the Long Sweep. Longer sides and a punky or messy top. Longer sides and top with a more controlled, traditional look like Matt Smith, our favorite Doctor. A French Crop, bleached or not. High and tight, a fade with a lot of flexibility and a good look for men with thinning hair. If you’re not sure about which look might work for your hair and facial type, just ask your expert barber at Hancock Barbershop. One of your childhood memories might be dressing up for Easter Sunday, or not. Regardless of your religious persuasion, spring is a good time to freshen your wardrobe. Spring cleaning tip #2 is literally out with the old and in with the new – clean out your closet and make room for new styles. We know this is the hard part because you are really attached to those basketball shorts you wore in college. Never mind that you never wear them, and your partner hates them. We know those skater tees from the 90s and the extra long cargo shorts from the early 2000’s have a place in your heart, but if you keep them in your heart, you won’t have space for something new. Organize your closet so you can decide, “Do I really love this?” then if not, throw it out! When you’re ready for your spring cleaning, head to John Hancock Barbershop to find the new you. The expert barbers on staff can provide you with guidance based on your hair texture, idiosyncrasies, and your facial type. Book online for your appointment today. Meta: John Hancock Barbershop offers tips on spring cleaning for men from head to toe in honor of our favorite time of year.